Self-built 3D back wall, art in almost invisible. Tip! Selbstbauen better than Buy. Under the gravel as protective glass for a safety mat. Glued 3 chamber internal filter. 1. Many layers of filter mats roughly and then finely as pre-filtering and then filter fleece. 2 compact pumps, each with 600 L / H = 1200 L / H.
Two different Einsrömungen. Once located on the 3 chamber filter out and once placed over the web which then comes pipe on the right side of the pelvis back inside. A Power Head of Hagen ung. 1000 L / H. Serves as a quick filter. Heater 300 W of Sera and mini pump for better distribution of heat in the first chamber. 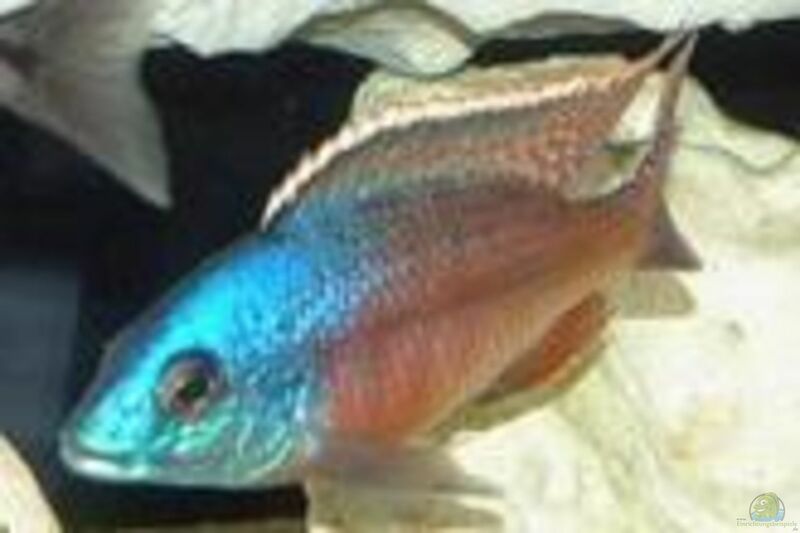 1/2 Pseudotropheus sp. "Elongatus Mpanga"
1x Labidochromis caeruleus Yellow "small"
3x loricariids "6cm, 12cm, 24cm"
Vitamin Sera with key vitamins.